"After only two days illness Mr. George Watson died here this morning. He was one of the most prominent and popular settlers of this district. He was well-known on the Northern and Murchison goldfields." "Mr. George R. Watson, farmer of Three Springs, passed away suddenly at that place on the 4th inst., in his 50th year. The deceased gentleman was born (says the "West Australian") at Ballarat, Victoria, and was associated with the Victorian goldfields, especially Ballarat, until his arrival in this State 25 years ago. He was a pioneer prospector in the great and unknown districts from Kimberley, right down to the Murchison for about 15 years. 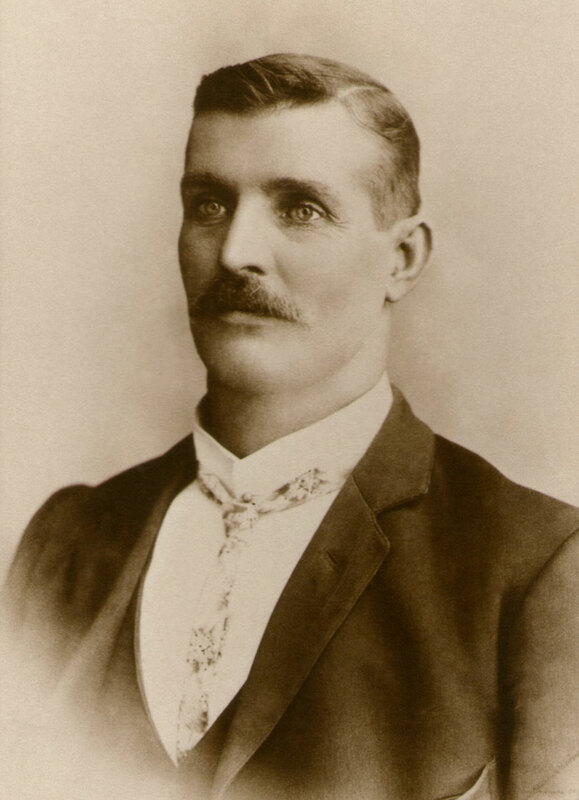 Mr. Watson owned half of the Moonlight Gold mine with his brother, Mr. J. H. Watson of North Fremantle. About seven years ago Messrs Watson Bros. sold the Moonlight Gold mine to advantage and the late Mr. G. R. Watson purchased a fine farming property at Three Springs, where he resided ever since. He was very popular in that district, and always took an active part in its welfare. The remains were conveyed by train to the Karrakatta Cemetery and they were interred in the Church of England portion on Wednesday morning. The procession from the farm to the Three Springs railway station was a long one, and included most of the residents of the town and the leading farmers in the district. At Karrakatta the Rev. C. H. D. Grimes officiated in the presence of numerous relatives and friends. The chief mourners were: Mrs M. M. Watson (wife), Mrs J. Watson, snr. (mother), Messrs. J. H. and E. J. Watson (brothers), Mesdames J. Bunnun and E. Caddy (sisters), Mrs. J. H. Watson, jun. (sister-in-law), Mrs B. Yates, Mrs A. Campbell, Mrs W. Bunnun, and Miss M. Bunnun (nieces), Messrs. W. Bunnun, P. Bunnun, B. Yates (nephews), Mr. and Mrs. Cato, and Mrs. C. C. Maley. The pall-bearers were Messrs James Gardiner M.L.A., S. F. Moore, F. Corney, and G. C. Bridgwood. The Three Springs Farmers and Settlers' Association was presented by Mr. H. H. Richardson. Many letters and messages of condolence have been received by the relatives. The funeral arrangements were carried out by Messrs Arthur E. Davies and Co."